If you’ve been paying any attention to the dentistry world, then you most likely have come across the term ‘dental implants’. Implants have been touted as the best option for replacing missing teeth, with success rates of as high as 95 percent. In fact, it has been said that with proper care, these implants will serve you for a lifetime. But what exactly are they and why should you be excited about this tooth replacement option? In the simplest terms, a dental implant is an artificial tooth root. A tooth consists of two parts: there’s the part inside the jawbone, which is the tooth root, and the part we can see, which is the crown. 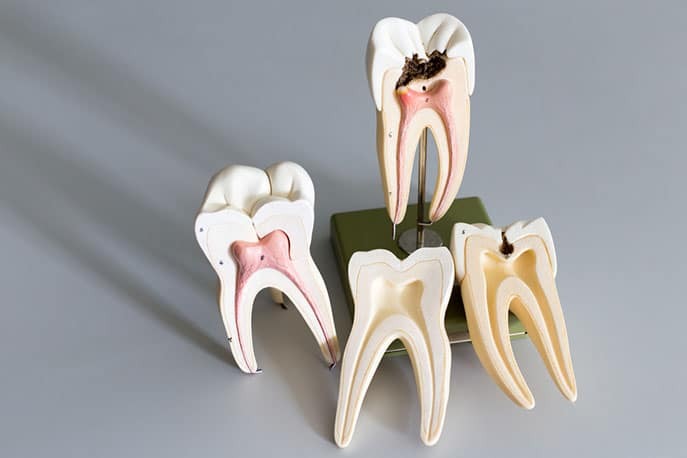 When you lose a tooth, the process of replacing it has to cater for both parts. This is true if you are looking for a permanent solution. Temporary solutions usually cater for the crown replacement only. A dental implant is made of titanium, and it acts as the foundation onto which an artificial crown is attached, thus forming a complete tooth to replace any missing tooth. There’s a reason why implants are made of titanium. The metal titanium has one very important characteristic: it can integrate or fuse with the living bone in the human body, a process that is referred to as bone integration or osseo-integration if you like. 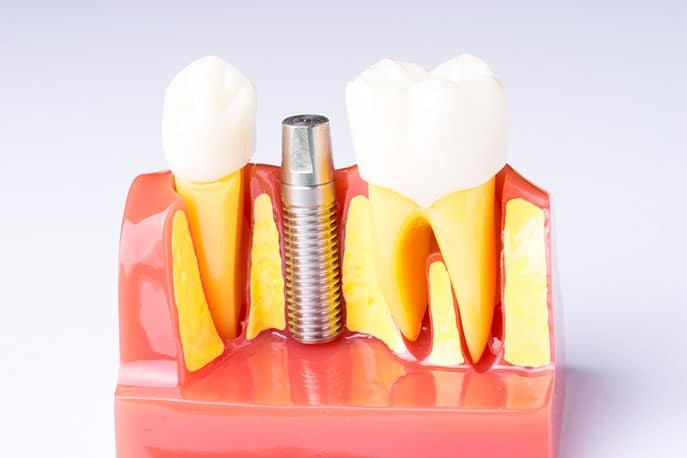 This property of titanium means that within no time after surgery, your dental implant becomes a part of your bone and hence body, allowing your artificial tooth to last you a lifetime. If implants were made of a metal that does not integrate, it would mean going through your life with an object that your body considers viciously foreign to it. It sounds like a scary prospect-having an artificial titanium root drilled into your bone. When you put it that way, even the bravest can experience nerves. However, it is important to note that if you have ever had a tooth extraction, you are more than prepared for a dental implantation. A dental implant surgery takes place under a local anesthetic because your dentist only needs to numb the surrounding areas as is usually the case with an extraction. If you are really nervous about the procedure, you can request to have a sedative or anxiety-reducing medication depending on what your dentist advises. Implants are preferred because of the fact that they are a permanent replacement for missing teeth that last a lifetime. Before implants, most replacement options were semi-permanent at best, and would require regular maintenance. With implants, all you have to do is take care of them as you would your real teeth. Brushing and flossing should keep your implants in good shape to give you a beautiful and long lasting smile. If you have recently lost your teeth, there should be no reason to shy away from smiling for the rest of your life because of the gaps in your mouth. Implants give you back your smile in a way that is beautiful and durable. Visit your dentist today for a consultation and you will be pleased to learn what your options are.